Interested, or working within #FootballMedicine? We’d suggest you get to Wembley for the end of April! 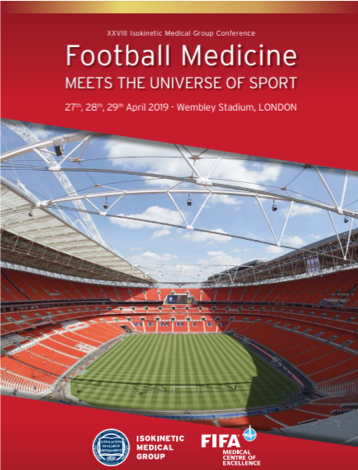 The Isokinetic Medical Group’s annual #FootballMedicine conference returns to another iconic sporting arena in London having recently held at the Camp Nou in Barcelona. Wembley Stadium will host three days of top Sports Medicine CPD, this year looking outside the sport to see how others tackle hot topics in the field, with topics ranging from ACLs to Aussie Rules injuries. For information about the conference, you can find out more information here. We hope to see you in London at the end of April!